Training BJJ can be an overwhelmingly positive experience both physically and mentally. 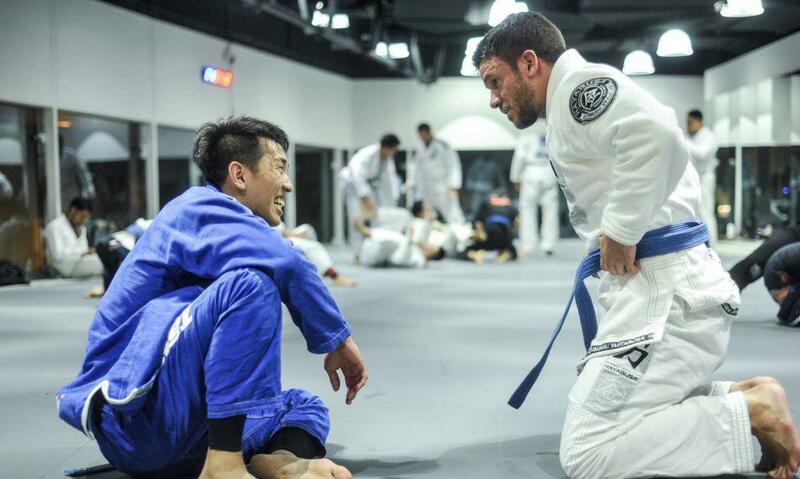 Once people begin training, they understand the substantial benefits attached to BJJ. Unfortunately, however, the people out there who have never tried BJJ are not sure what they are missing out on. More than most regular sports, Brazilian Jiu-Jitsu brings together many positive and like-minded people inside the one room or gym. Everyone is there for the same reason; they are looking to improve themselves, both physically and mentally. By not training BJJ, people are missing out on the ability to create amazing new friendships and the incredible experience of positivity within the community. The community aspect that comes with training BJJ adds a whole new layer of positivity to your lifestyle that extends well beyond your time in the gym. You will immediately create a new network of friends and ‘family’ that respect and care for you and your self-improvement. BJJ is more than just physical exercise. It is an applicable skill that is fascinating to learn. Have you ever heard the saying: the more you know, the more you do not know? It works like this. BJJ might look simple. However, once you partner up with somebody who has experience with this captivating martial art, you will quickly find that there are many layers to this sport. Apart from the techniques, BJJ adds a whole new sense of meaning to your physical and mental wellbeing. People who do not train BJJ are missing out on the perfect opportunity to improve themselves physically and mentally. BJJ has a desirable effect on your body. The techniques, movements, and exercises are ones that you will have never experienced before, so your body will be forced to adapt to new situations and positions. This means that your flexibility will naturally improve and so will your strength. The positive mindset spreads far beyond your wildest imaginations and those who are not training BJJ are missing out on a completely life-changing experience. While training yourself and engaging in a beneficial activity, you are also learning an instrumental self-defense technique which can help to protect you, your family, or friends if the situation ever arises. BJJ was always designed and instructed with the basic concept of being able to overcome and defeat a larger and stronger opponent. BJJ teaches you ways to neutralize an attacker.